Companies are increasingly facing challenges driven by growing complexities in their sourcing, manufacturing and distribution chains, in addition to consumer’s expectations of corporate sustainable responsibility for products, services and behaviors. Intertek is a leading global Total Quality Assurance provider enabling organizations, across a wide range of sectors, to keep ahead of their emerging sustainability requirements. Through our global network, local knowledge and subject-matter expertise we provide innovative and tailored assurance, testing, inspection and certification services to our customers across their entire value chain. We are uniquely positioned given our global scale to partner with our customers in meeting their needs in delivering a wide variety of sustainability services that help our customers with increased transparency to manage risk and resilience, whilst supporting their ability to operate effectively and act responsibly. Our customers trust us to ensure quality, safety and sustainability in their business, to protect their brands and to help them gain competitive advantage. We not only provide valuable insight into companies’ current sustainability needs, we identity emerging trends, enabling our customers to manage the circular economy in their business and safeguard their reputation. At Intertek, Sustainability is core to our business and we are constantly evaluating and improving our processes with not only the services we offer our customers but our own business processes and initiatives. 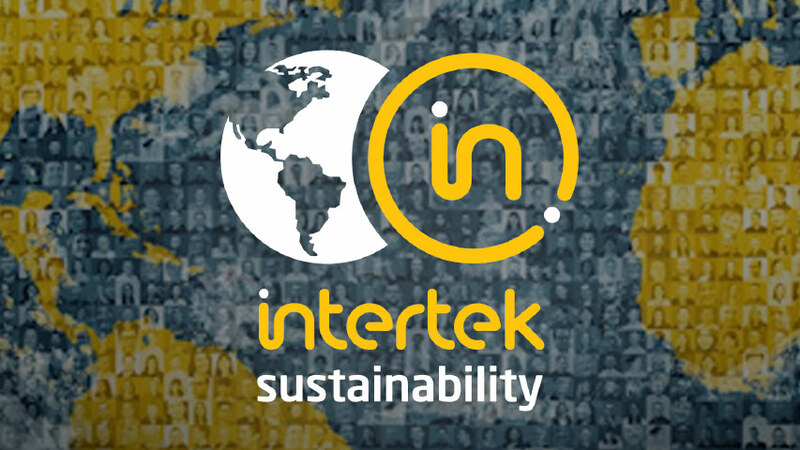 Through developing and implementing key programs, Intertek’s sustainability strategies aims to minimize the impact of our operations on the environment by understanding and mitigating against our material impacts. Continuously improving policies and practices support our values for a diverse and inclusive global family, committed to professional excellence and the communities in which we operate. At Intertek, our people are passionate about their work and are proud to be involved in activities which generate a positive impact for society and the environment.